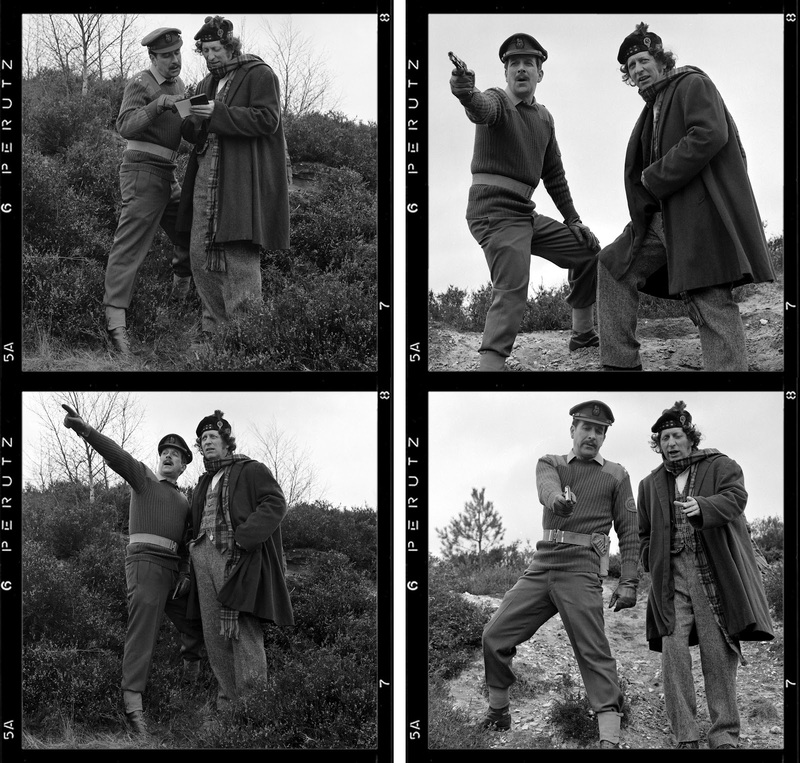 While researching my Fourth Doctor Costume Index I’ve come across some great photoshoots as reference material. Some of them show off The Doctor’s costume to its best and reveal details hardly visible on screen. However, many of these shoots are not entirely in continuity with the serials they publicise, so I have not cited them as reference. 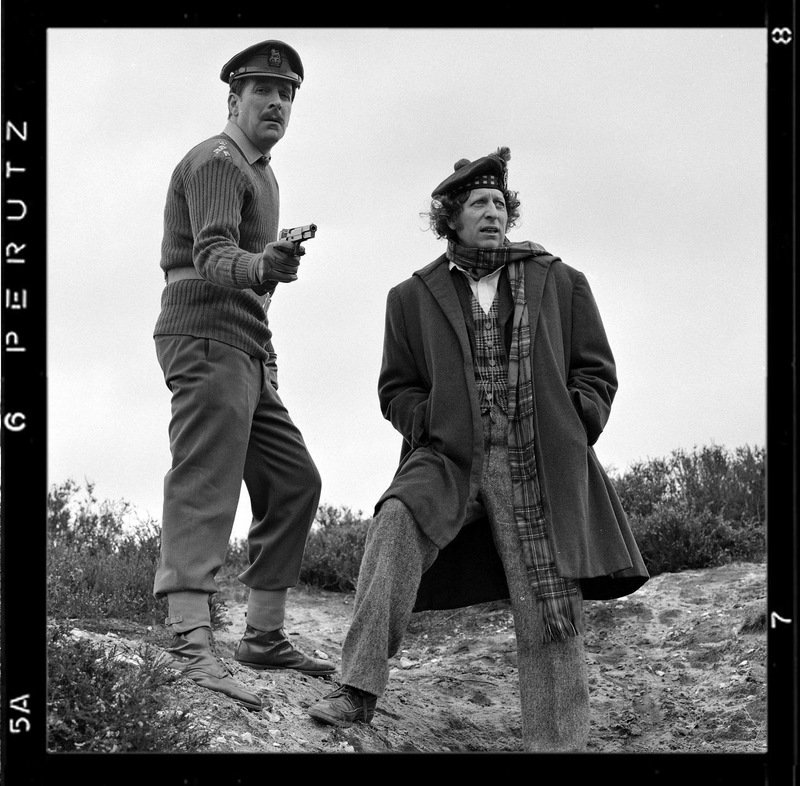 The first I thought worth sharing is from the location shoot of Terror Of The Zygons and has The Brigadier along for the ride too. 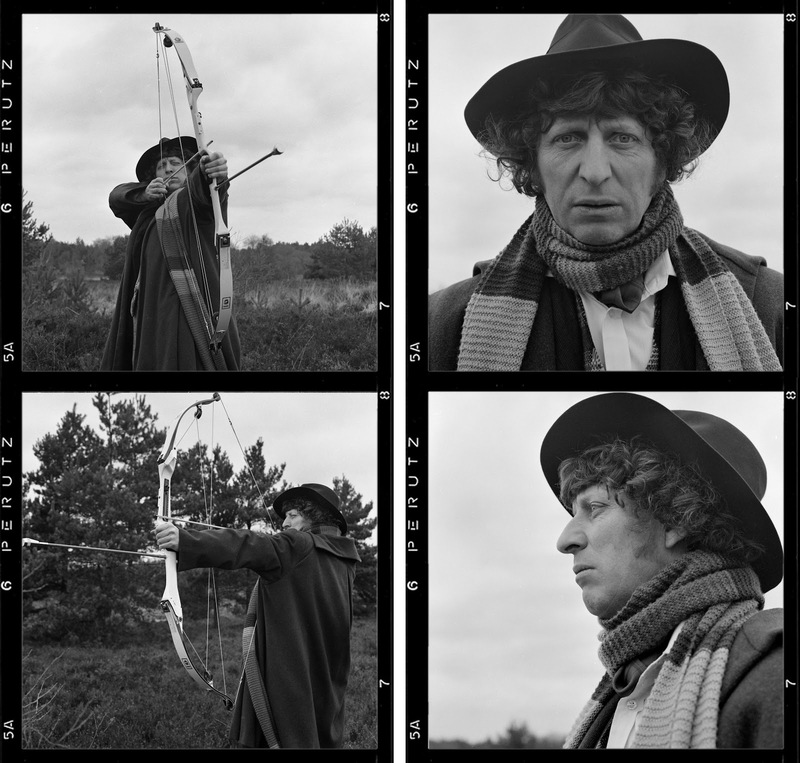 These first pictures have The Doctor wearing the baggy brown overcoat first seen in The Sontaran Experiment. With it he has the new printed velvet waistcoat which would become a regular costume piece over the next few seasons. I like the way these pictures show the pattern in fine detail - just a shame they are in black and white. It’s also possible to see the cravat has a woven pattern, which does not show up at all on screen. Quite why The Doctor is seen aiming a high-tech archery bow is beyond me, as it never appears in the episode! The second batch includes Nicholas Courtney’s Brigadier alongside The Doctor. This time The Doctor is wearing the Tam o’Shanter and tartan scarf worn in the opening scenes of Terror Of The Zygons. In a couple of the pictures they seem lost and are referring to a handy pocket map!